Recently, it seems that we have quite a few people making business trip to my home country—Malaysia . Here in this post, I would like to give a very brief introduction of Malaysia and hopefully these information will benefit those who visit my country (business or pleasure) in the near future. Located near the equator, Malaysia consists of two regions separated by the South China Sea: Peninsular Malaysia マレー半島 and East Malaysia 東マレーシア. We have 13 states (equivalent to the prefectures to Japan) and three federal territories (Kuala Lumpur, Putrajaya, and Labuan). Kuala Lumpur, along with Penang, Melaka (well known tourist spots) and Kedah (my home state) are located in Peninsular Malaysia. In East Malaysia we have Mt. Kinabalu, the highest peak in our country. Due to the geographical location there is no distinct seasons as in Japan. It feels like summer throughout the year. Direct translation of this Malay dish is "Fat Rice" due to the fact that the rice in this dish is cooked in coconut milk (hence the word "fat") and "pandan" leaf. 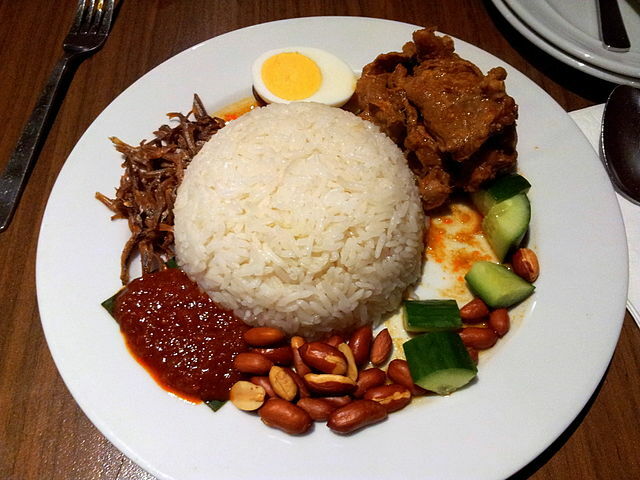 The rice is usually served with chilli paste or curry. Although used to be a very common breakfast, now you can find it everywhere and all the time in Malaysia. This is a popular Chinese dish made from stir-fried flat rice noodles commonly with egg, shrimps, etc. 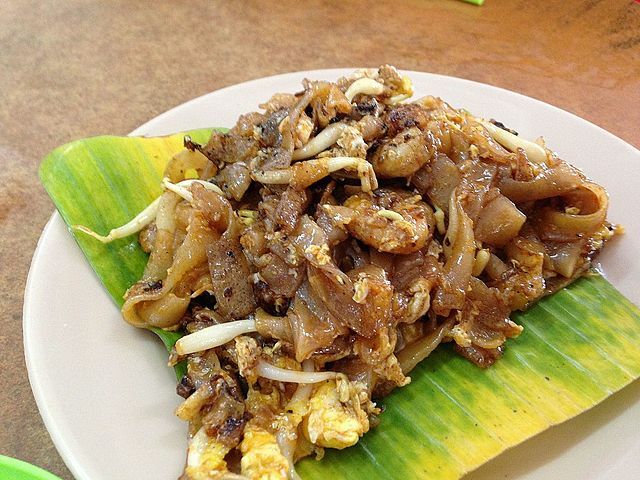 "Char Kway Teow" is the pronunciation of the Chinese character 炒粿條 in Hokkien dialect. Roti Canai might look familiar for Japanese as you are used to seeing Indian restaurants in Japan serving naan. Same as naan, the "bread" (translation of "roti") is commonly served with curry. However, the process of making it is quite different from naan. 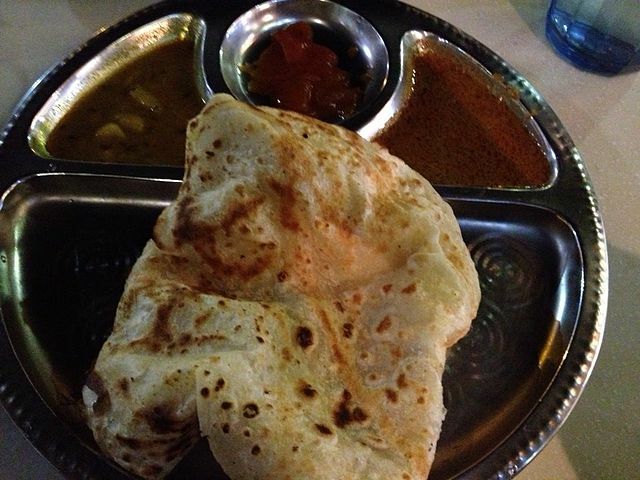 Naan is usually baked with oven but roti canai is usually grilled with oil. The process of making the dish sometimes involves tossing and spinning the bread, so, if you happen to order one in Malaysia, make sure you sit close to the chef for the "performance." Other than enjoying the delicious cuisines, make sure that you also try out the fruits during your trip to Malaysia. As mentioned at the above, we do not have distinct seasons in but we have fruit season! Of course there are other seasonless tropical fruits. For those who visit Malaysia for business purposes, there might be not much time for sightseeing. However, you still can enjoy your trip by trying out the dishes and fruits and I hope this simple introduction can be helpful. If you have any questions or want to share your experience, please feel free to comment.